Obituary for Alexander Davis Jr.
Alexander Davis Jr, 80, of Kennebunk, Maine, died Monday, January 21sst after a short illness. Born in Queens, New York, he spent his formative years in Red Bank and South River, New Jersey. He graduated from Red Bank Regional High School, where he was awarded the Annual Distinguished Alumni Hall of Fame. After graduating from Monmouth University, he earned his M.A. from Newark State College. Alexander dedicated his life to helping others in crisis. He worked as a guidance counselor for middle schools and a substance abuse counselor for people struggling with addiction. He emulated the bravery of firemen and from the age of 18, he served as a volunteer fireman first in Red Bank then later in Brielle. Alexander met his wife of 54 years, Lydia, at a Russian-American New Year’s event at the community of Rova Farms. While vacationing in Kennebunkport in 1979, they made a promise to retire to the Maine coastline. Once they settled in Kennebunk in 1995, they felt as if they had come home. People embraced the Davis family and they strived to return the generosity. Alexander was famous for generating laughter with endless jokes and a bottomless sense of humor inspired by Laurel & Hardy and the Marx Brothers. He had a joke for whomever he ran into during the day. Alexander worked several jobs in the community ranging from teaching at York County Community College, tending bar at the Nonantum Resort & Shawmut Inn, and assisting at the Bibber Memorial Chapel. This made him a familiar and friendly face around the neighborhood. Alexander never ceased in his calling as a volunteer firefighter. Joining Washington Hose Company, Kennebunk, Alexander was appointed Chaplain. He performed the solemn duties of prayers for burial and had the joyous privilege of officiating weddings. Alexander was an avid lover of classic, antique cars. He himself bought American and he savored weekend drives along shoreline towns in New Jersey and Maine. He had a keen eye for photography and dabbled in painting, often inspired by natural landscapes. Life for him was never complete without a trusted dog by his side. He had a passion for cooking especially all manner of seafood with a perfect apple pie for desert. Visitors were regaled with lobster dinners which became a Christmas Eve tradition and he was often recruited to bake lasagna for his fellow firefighters. 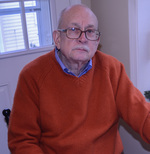 In his golden years, Alexander found enjoyment spreading laughter at the Cribbage Club held at the Kennebunkport Historical Society. Even up to his final days, Alexander never hung up his boots as a firefighter. He assisted with administrative duties for his brotherhood at Central Station, Kennebunk. Alexander passed away peacefully with his wife by his side. His family will always remember him especially when Glory Days plays on the radio. Alexander is survived by wife, Lydia and sons, Alexander Davis III of Arlington, VA and Tim Davis of Los Angeles, CA. Friends may visit on Friday, January 25th, from 3 to 6 pm at Bibber Memorial Chapel, 67 Summer Street, Kennebunk, ME. In lieu of flowers, the Davis family asks for donations to the Washington Hose Fire Co., 159 Port Road, Kennebunk, ME 04043 or Hospice of Southern Maine - Gosnell Memorial House, 180 US Route One, Scarborough, ME 04074. To share a memory or leave a message of condolence, please visit Alexander’s Book of Memories page at www.bibberfuneral.com.